Boeing is developing its capsule for use ferrying astronauts to Earth orbit and to the International Space Station. Aerospace juggernaut Boeing is developing a new spacecraft, the CST-100, aimed at launching astronauts into low-Earth orbit and returning them safely to Earth. The space capsule is expected to initially launch atop a modified Atlas 5 rocket. 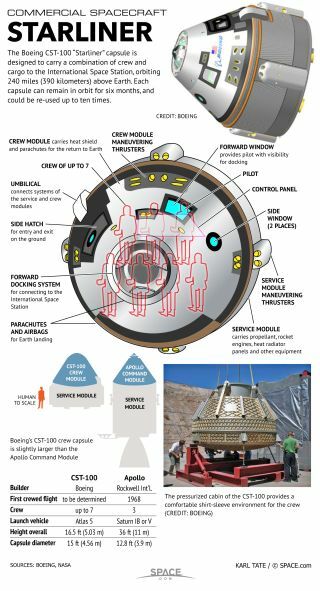 Find out more about the CST-100 space capsule with the SPACE.com infographic above.